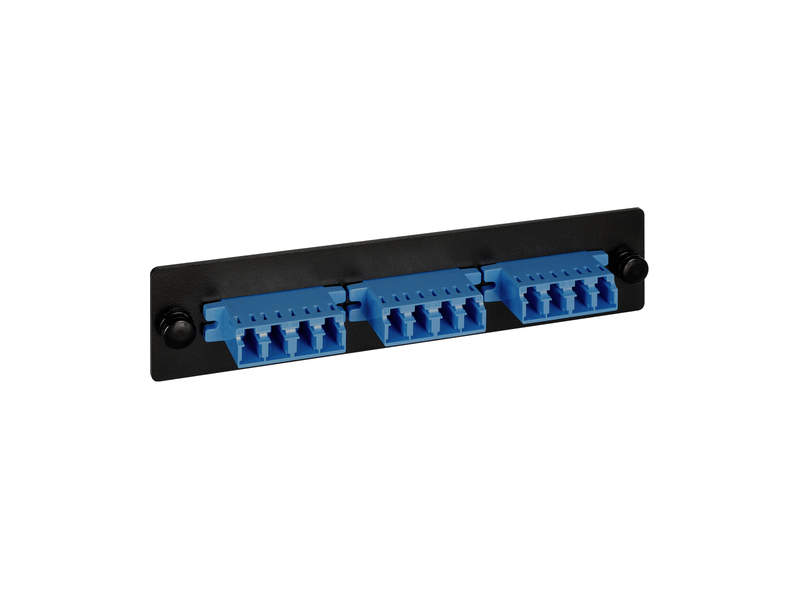 LC adapter panels are designed to fit fiber optic blank patch panels, rack and wall mount enclosures. Viable solution for high speed data transmissions and broadband internet. Provides a safe and secure means for connecting fiber optic cables between external distribution and the active components. Provides an easy to use method of connecting and routing fiber optic circuits with neat and clean appearance. Holds 6 ICFOA5MM02 duplex LC fiber optic adapters providing connections for up to 12 fibers.